Recently I’ve fine-tuned my skincare into the perfect bubble of products for my routine. My focus of late was trying to simplify my collection – my tiny flat with one bathroom shelf just can’t accommodate for a five-step morning regime and a seven-step night time one. I’m also slowly introducing more natural products into my hoard, and I feel like my skin is rewarding me for it. 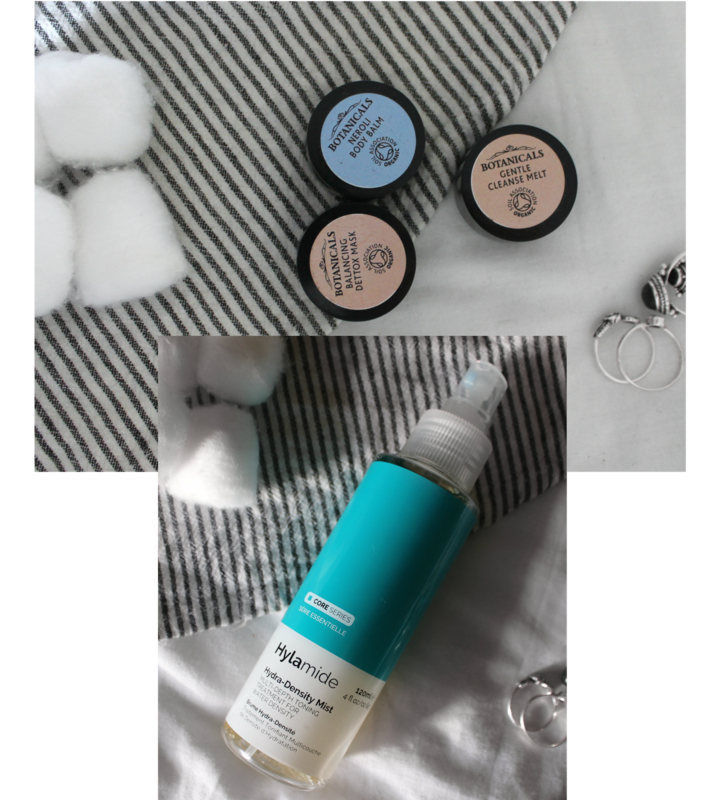 Below, I've listed all the skincare I've been using and loving recently. If you’re wondering, my skin type is Oily/Combination (emphasis on the oily), but a lot of these products are suitable for anyone. This may just be the best thing I have ever put on my skin. 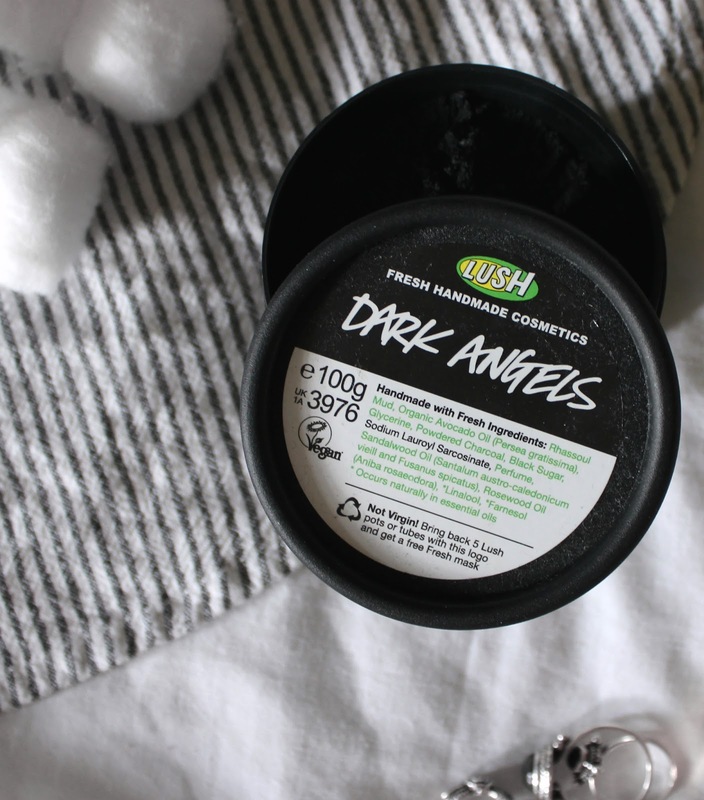 This black, crumbly cleanser smells amazing, and deeply exfoliates the skin without scrubbing too hard. I feel like this absorbs all the excess oil from my skin and leaves me with a bright, glowing complexion every morning. The only downside is the mess, a pure black cleanser isn’t exactly an inconspicuous addition to your morning routine, so I usually take this into the shower so I can wash away any residue with ease. 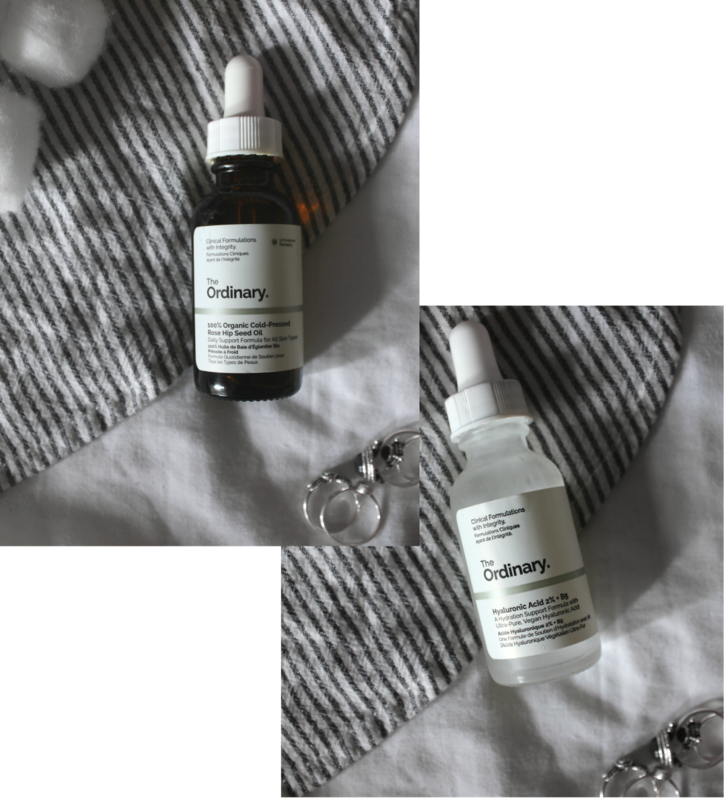 I recently reviewed a few products from The Ordinary in a previous blog post, but to reiterate, this organic oil fits seamlessly into my routine, hydrating my skin and leaving a healthy glow. I rarely apply this on its own (although sometimes do!) and opt for mixing a few drops in with my moisturiser, or just focusing the oil on problem patches. Another product reviewed previously here, this product is a hidden gem in my bathroom. This applies really easily, absorbing quickly and brightens my complexion. Giving my skin an extra boost in hydration, the summer damage to my skin has been totally minimised. A bargain too, compared to some other hyaluronic acids on the market today! When it comes to quality, organic skincare, the price point can understandably be a little higher. Botanicals kindly sent me three of their little try-me pots to emphasise a try-before-you-buy attitude, great for reducing waste and saving money as you only invest in what you know you love. The Balancing Detox Mask was a winner for me, something I’ll definitely be purchasing again. Trying the Gentle Cleanse Melt was a treat on the skin at the end of the day, and really broke down makeup efficiently. The Neroli Body Balm however wasn’t for me – if you have dry skin this might be ideal, but it just felt a little too oily for my liking. Two out of three ain’t bad! This humid season I would have been hopeless if it weren’t for this gem. A toning facial spritz I previously reviewed here, this helps me add toning to my routine without faffing about. But the real beauty in this product is how refreshing it is – it’s a little luxury. 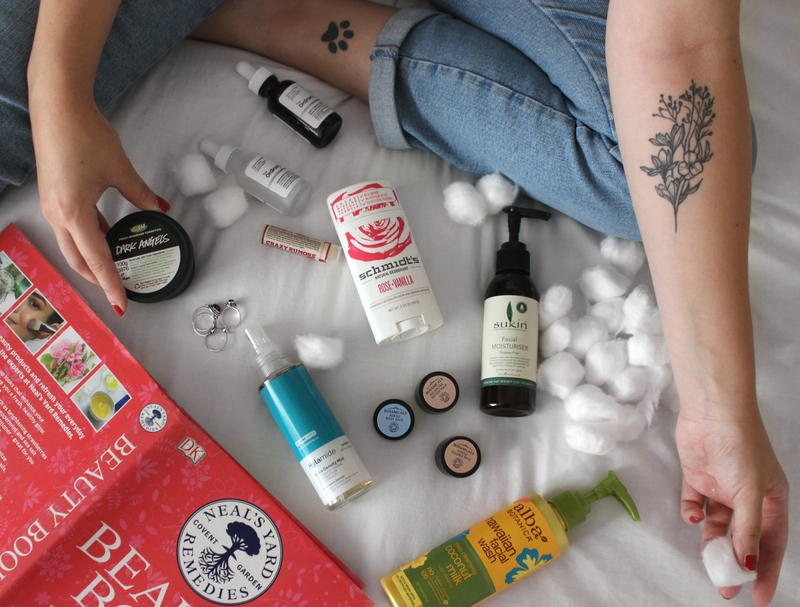 Sukin has popped up all over the cruelty-free blogosphere lately, and for good reason. Eco-friendly, natural and vegan products in their most simple form – Sukin is everything my skin has been looking for. This moisturiser is suitable for all skin types, but from an oily gal who is picky with moisturiser, this is a dream. Being rich and hydrating while soaking in to the skin quickly and leaving a dewy but not greasy finish, this moisturiser is the one. 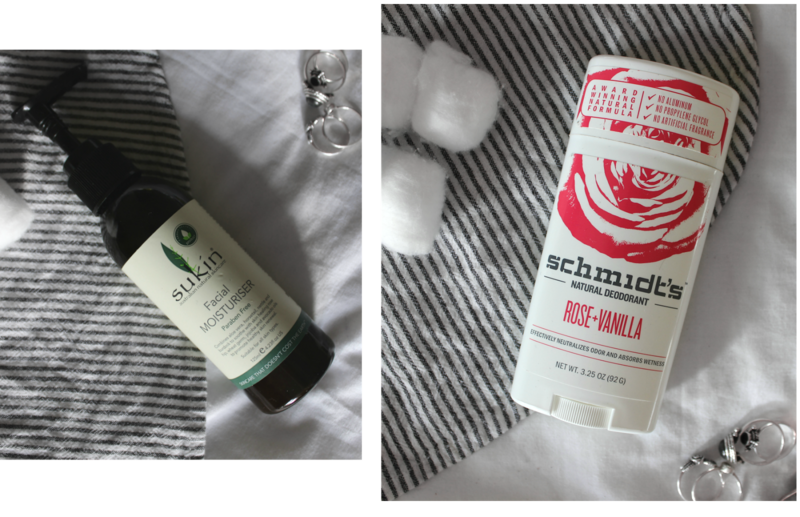 Yes pals, I’m talking about deodorant in a skincare post because armpit skin is important too. Without going into too much detail, because it was pretty gross, I’ve had a couple of bad reactions to deodorant in the past, which left my skin irritated and painful for months. Trying natural deo was something I tried tentatively, and after a failed Dr Organic roll-on (ugh) I bought this beauty and it’s worked a treat. Letting my skin breathe and detoxify itself (which aluminium deodorants don’t do) while keeping me comfortable and smelling nice, Schmidt and I are getting along great. Even my boyfriend borrows this for the gym, if that’s any testament to how well this works. 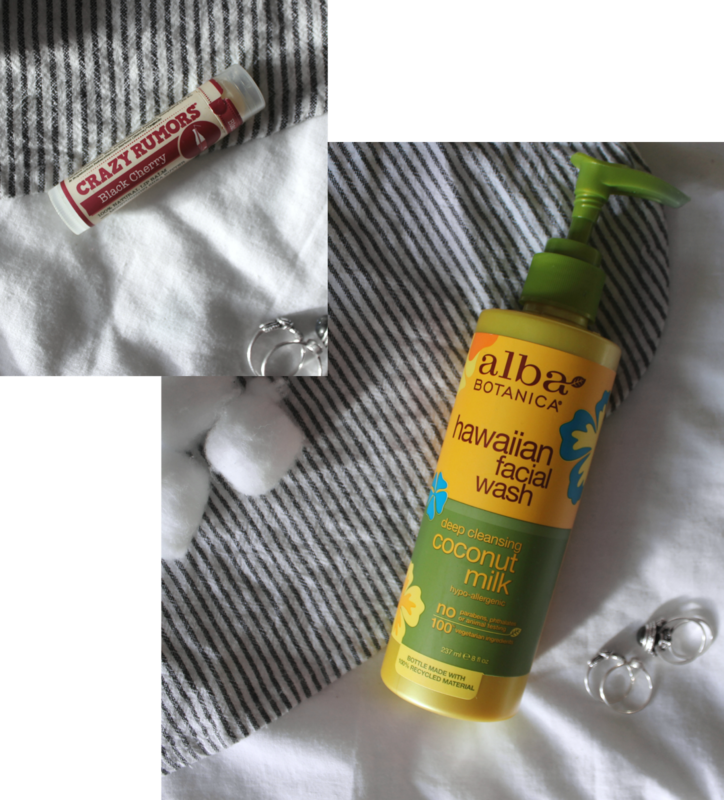 I go through lip balm like nobody’s business, so I have tried a good few vegan balms in the last couple of years. This stands out from the crowd for me, as it moisturises deeply with only one or two applications, and the smell is unreal. SO yummy. This cleanser is gentle, but also cleans deeply. After use I’m left with perfectly polished skin, that feels nourished rather than stripped. Not to mention I also smell like coconutty goodness. This isn’t so great at removing makeup, so I use it in the morning, or with a muslin cloth or flannel to give it an extra budge. I love my Schmidt's deodorant. It's the best natural one I've ever used! I really need to get my hands on some Sukin skincare. I've heard so many rave reviews about it!